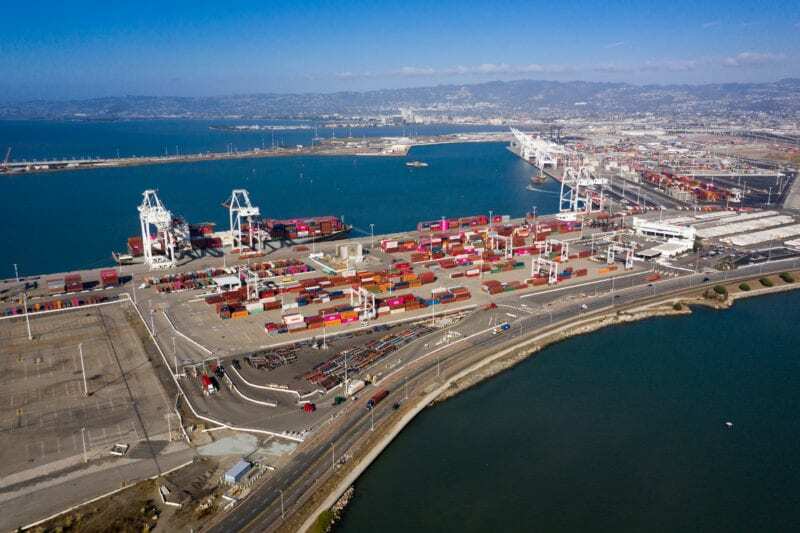 TraPac’s container terminal operations in Oakland, California, announced today that extended gate operations will commence October 15th with the goal of improving productivity outcomes for the drayage sector and enhancing gateway efficiency at the Port of Oakland. Effective October 15th, TraPac will offer four full service night gates Monday through Thursday from 6PM to 3AM. In order to provide these extended hours and improved truck service, TraPac will introduce an Extended Gate Fee. This fee will commence October 29th after the initial two weeks of extended operations. The fee is $30.00 payable for all import and export truck transactions (not empty containers) and will be payable by the importer or exporter. The extended gate fee and operations are intended to increase productivity within a driver’s operating hours. By matching the operating hours of a competitor terminal in the Port of Oakland, TraPac is providing the same opportunity for trucking companies and warehouses to enhance their operations. “A number of our stakeholders have asked for these improvements. Not only will we provide extended hours for the drayage community, we are also determined to provide greater service to the overall supply chain” stated Brian Bauer, Vice President of Operations at TraPac Oakland.